I continue to enjoy Fuji’s latest little technological wonder tremendously. Unfortunately, I haven’t had much free time over the past couple of weeks. 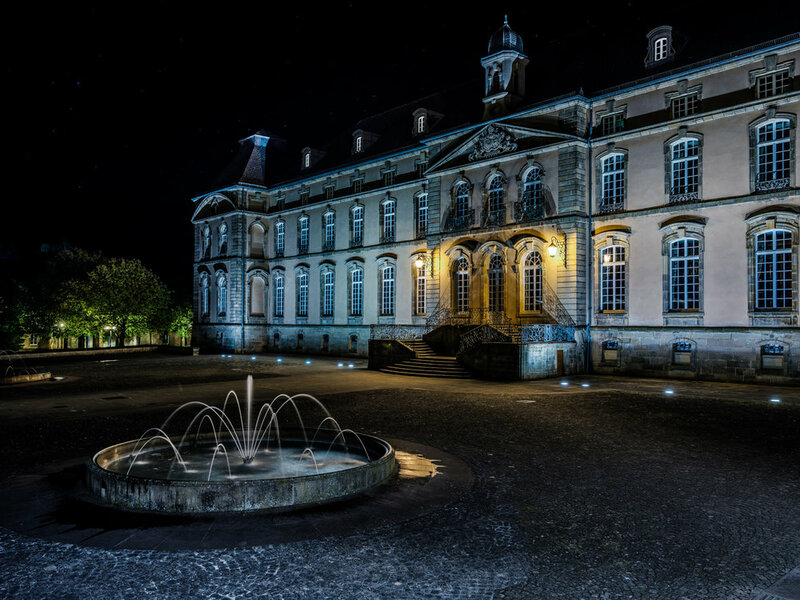 However, on one occasion I managed to quickly drop into Echternach for a couple of night shots. With the 32-64mm lens mounted, I proceeded to my usual testing grounds: the LCE courtyard, as well as the old city centre. This is the straight out of camera shot. Actually pretty close to what I really saw that night. Here's the final, edited image again.